Salt caves were first documented in modern society in Poland in 1843. (There are records of breathing improvements due to salt caves that date back to Roman times, but very little recorded evidence.) Dr. Feliks Boczkowski, a physician at a Polish salt mine in the early 1840s, noted that the workers there never had respiratory or lung problems like many of the people working in other (non-salt) mines. He wrote that salt mines have a stable air temperature, low humidity, and lack airborne pollutants. The information was studied, and his successor opened up a spa at the mine. Salt therapy is said to help skin conditions like dermatitis, acne, eczema, and psoriasis; clean nasal cavities and sinuses; reduce stress; improve lung function; and decrease the likelihood of catching a cold. And while there have been no clinical studies to back up any of these claims, there are quite a few doctors that support salt therapy. “If you inhale salt, the theory is that you will take the mucus that is blocking the airway and make it more liquidy,” says Dr. Leonard Bilory of the American Academy of Allergy, Asthma, and Immunology. After my first salt cave session in Florida, I spoke with a man who said he’d been coming every day for six weeks and had noticed a major improvement in his asthma and post-nasal drip. I also talked to a parent who said her child’s eczema was improving. But it isn’t just Florida that has hopped on the salt therapy trend. 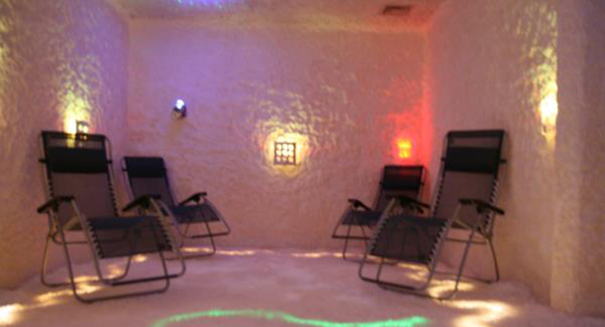 The Boston-area also has a salt cave at Alantra Spa in North Reading. They say that the salt used in the 45-minute sessions comes from “the highest peaks in India.” You just sit and relax in their zero gravity chairs and breathe. It’s that simple. 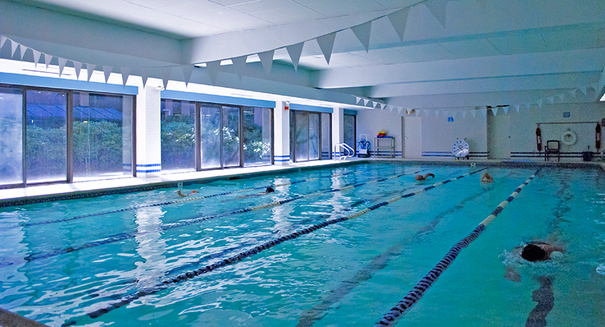 The pool at Commonwealth Sports Club in Brighton is a five-lane, 60-foot salt water filtration pool. We are told that the salt water chlorination system provides the same level of disinfection as that of traditional chlorination, but instead of the negative side effects of chlorine, you get the health benefits of salt therapy. There are some really cool aspects to a salt water pool. Because the pH levels of salt are naturally lower than that of chlorine, the pool water almost feels “softer” than a normal pool. It is something you have to actually get in and experience in order to know the difference. It’s also safer for your bathing suit because fabrics won’t fade as fast as they would in a chlorine pool. You may also notice a slightly salty taste to the pool, which is different that a traditional chlorine pool, but not as strong as the sea. Commonwealth Sports Club fitness director Laura Wilson says that club members have reported a more relaxing swimming experience in the salt water pool. The pool is open seven days a week, year-round, and offers swimming lessons and aquatic classes. G2o Spa and Salon on Newbury Street also has a “Brine Inhalation Therapy Relaxation Room” where you relax while inhaling salt air and listening to a three-tiered waterfall. 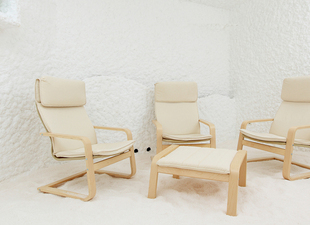 Have you tried salt therapy? Where did you go?